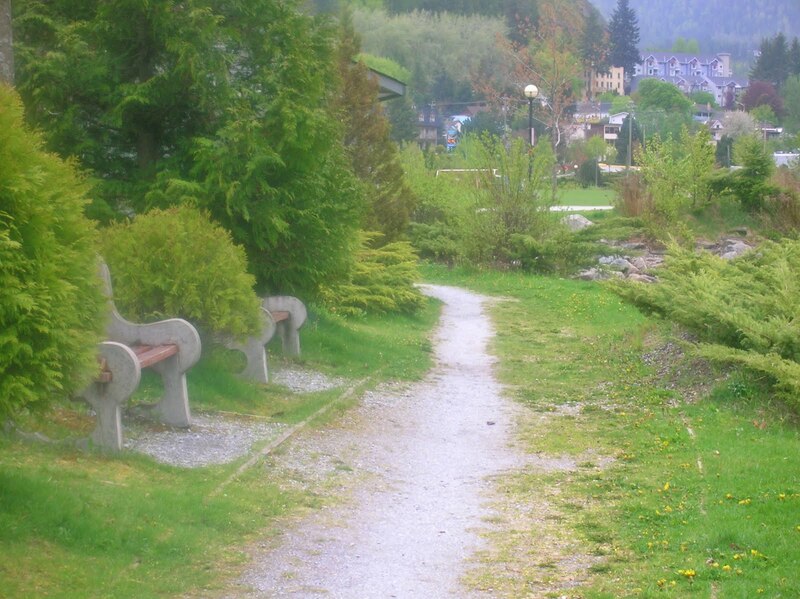 My journey…shared in poems, prose and photos. This brought a smile to my morning! 🙂 I hope you enjoy it too. Have a wonderful, magical weekend. Categories: Personal Growth, Reblogged from WordPress, Uncategorized | Tags: finding magic, magic, practical magic, reblogged from WordPress, Seeking Answers, wordpress | Permalink. But contemplation can take different forms. I like the second definition below: to meditate on or ponder. It’s all good. And so worth the time too. Do you find it easy to contemplate life’s big decisions before you make them? 1. To look at attentively and thoughtfully. 2. To consider carefully and at length; meditate on or ponder: contemplated the problem from all sides; contemplated the mystery of God. 3. To have in mind as an intention or possibility: contemplate marriage; forced by the accident to contemplate retirement. 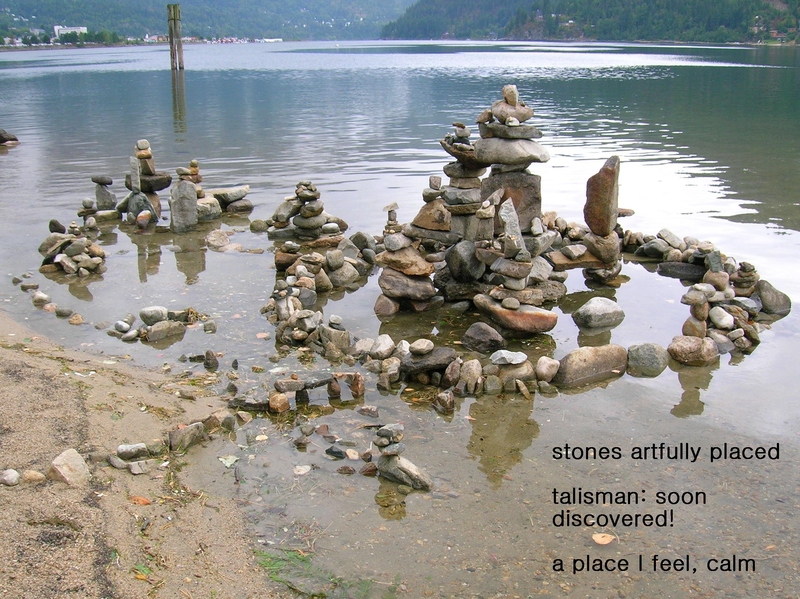 Categories: Personal Growth, Seeking Answers, Word of the Week | Tags: contemplate, contemplation, have a great week, Seeking Answers, taking time to contemplate, word of the week, word of the week blog, words to dwell on | Permalink. The Hour of the Wolf. Tossing, turning, wide awake but tired…thinking all kinds of crazy, annoying and at times, very disturbing thoughts. Where some of them came from, I have no idea. But enough to keep me awake and to interrupt sleep in a most unpleasant way. The sleepless night situation HAS improved in the past couple of years as I have been making a real effort to go to sleep in a calm, relaxed frame of mind and when I DO wake up, in the middle of the night now, there are a lot fewer negative thoughts that come to mind. But now, when it does happens, I replace these negative thoughts with positive ones, right away! Good things I choose and WANT to dwell on,…it’s worth the effort and it really has helped. So back to this book review. I “happened” to be browsing over at Amazon one day recently and did a search for “Hour of the Wolf” as I had seen the Ingmar Bergman movie of the same name, many years ago in Toronto and wondered if it was still available. If you aren’t familiar with the movie: Hour of the Wolf, you can read more about it here. A strange, surreal and original story that I never completely forgot. And the term “hour of the wolf” is one that has always stayed with me, particularly on sleepless nights when I wake up during the period between 3-5AM, AKA “the hour of the wolf”. 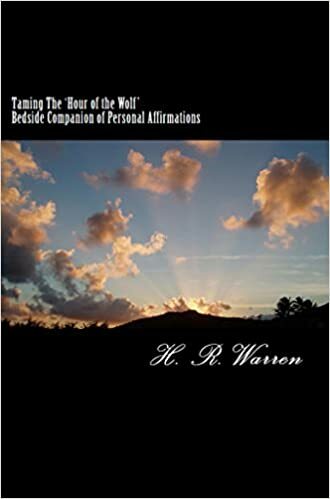 Written in a personable, engaging style and filled with 144 affirmations that readers can refer to, again and again, when the Hour of the Wolf strikes a discordant note. I am a true believer in the power of positive thoughts and particularly affirmations. 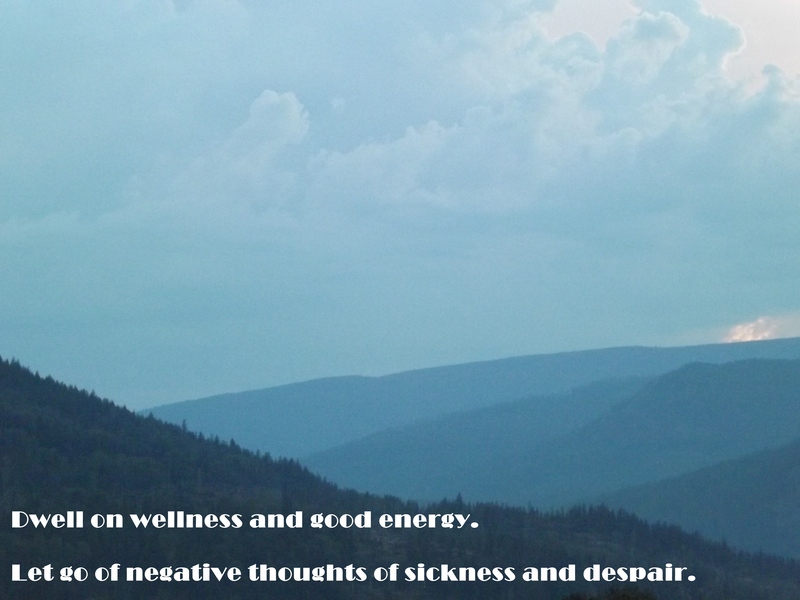 Sleeplessness, Negativity & Doubt, Procrastination, Abundance… and several others. By choosing a particular category, you are then given a list of useful and calming affirmations to help still the mind and replace negative, upsetting thoughts, particularly during the Hour of the Wolf. I think most people at some time or other grapple with sleepless nights. It’s not fun, it’s frustrating and getting back to sleep can be so difficult at times. By keeping this book: Taming the Hour of the Wolf, close at hand on a bedside table perhaps, there is help only a click or page turn away. The Kindle version (which is the one I have) is nicely formatted, with full page nature photos to begin each new category. And at less than a $1. for the Kindle version right now, a real bargain for a reference guide that I know I will be referring to, again and again. Especially when the “hour of the wolf” takes a turn for the worse and I need some positive thoughts to help to calm my mind and get back to sleep. 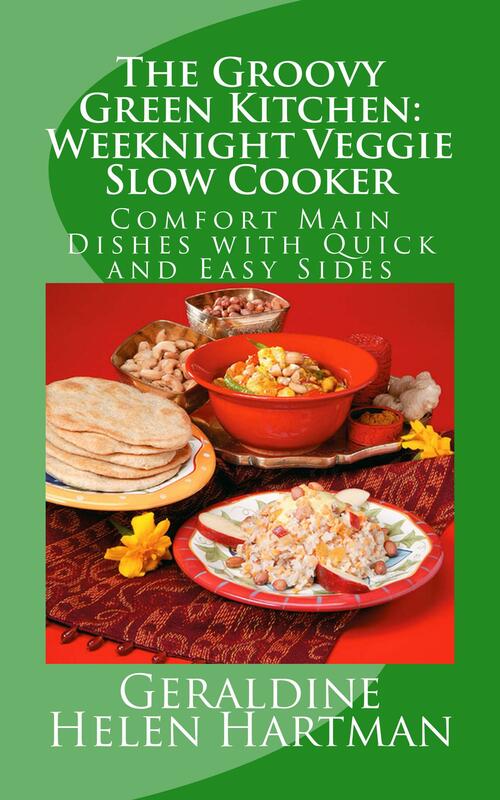 If you also struggle with ongoing or even occasional sleepless nights, check this one out. Categories: Blog Alerts/Reviews, Mystery Themes, Personal Growth, Personal Issues, Seeking Answers | Tags: amazon, amazon reviews, art films, book review blogs, book review: Taming the Hour of the Wolf, Book Reviews, coping with sleepless nights, health, health and wellness, hour of the wolf, Ingmar Bergman, Laughing At the Grim Reaper, positive affirmations, Seeking Answers, sleepless nights, taming the hour of the wolf, wellness | Permalink. I’m taking a blog break for the next few weeks. Plan to spend more time outside and to work on several projects in progress too. I’ll be back to blogging before autumn, hope to see you then. Categories: Articles of Interest, Blog Alerts/Reviews, Hearth and Home, Personal Growth | Tags: blog break, haiku, haiku about summer, haiku blog, haiku poetry, haiku post, happy summer, luck, see you in the fall, summer, summer break, summer haiku, taking a blog break, talisman, talisman haiku, wishing you luck | Permalink. 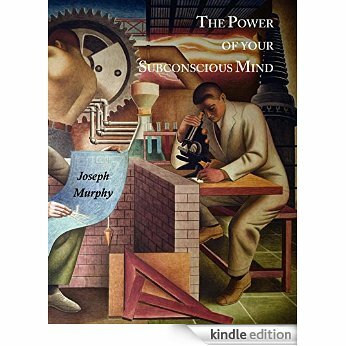 After reading about Cynthia Stafford’s amazing lottery win ($112 MILLION) and how she credited much of her success to Joseph Murphy’s work, I decided to give this kindle book a try. exceeded my expectations, and in many ways. I’ve read a lot of LOA books, especially in the past couple of years…some good, some so-so, some just “get rich quick” schemes for the authors, or so it often seems. And when it comes to the older books on this topic, they often seem dated and not relevant for people living in today’s world. The Power of the Subconscious Mind is a winner, in all respects. It IS extremely relevant, for anyone who is looking to add more abundance and success to their life. It is NOT preachy, although it’s obvious that the author did have strong religious beliefs, he doesn’t “preach” or push a particular creed or religion at any time in this book. 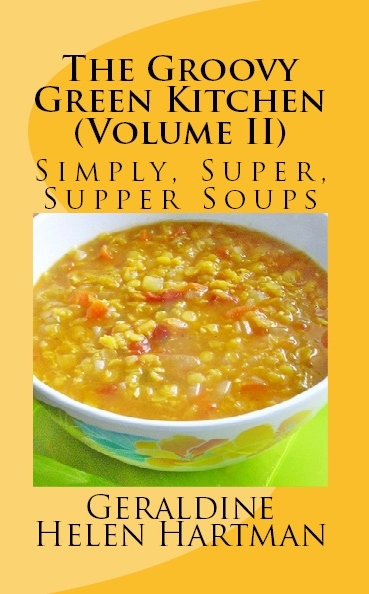 The practical advice in this book is easy to follow and powerful. Enjoyable and not a chore to follow through with and continue to do so!! A nice change from some other books on the topic I’ve read and gave up on. I make it a point to re-read a couple of chapters, a few of times during the week, as a good reminder and pick me up. I’ve had some excellent results already, following many of the suggestions in this book. No, I haven’t won 112 MILLION as Cynthia Stafford did, but I’ve had a lot of smaller wins so far, and not just when it comes to financial gains. And as Murphy so wisely states in this book, money and prosperity ARE very important, but they are not the whole story when it comes to living a successful and happy life. 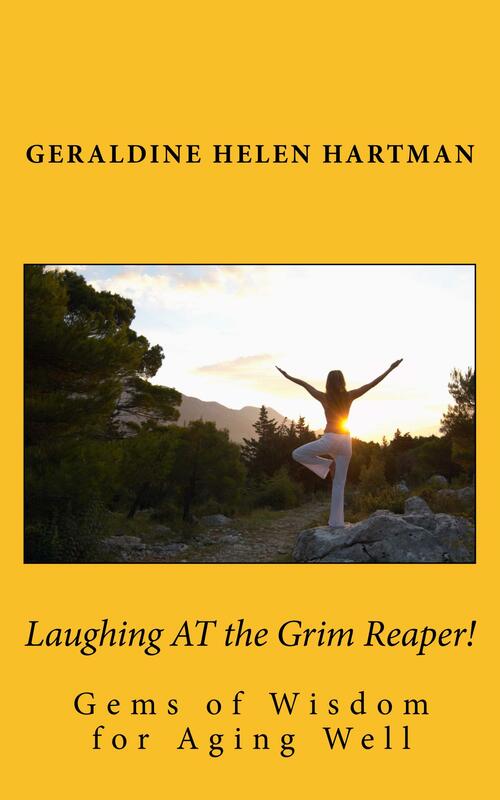 If you are debating about what Law of Attraction book to buy, you won’t be sorry if you choose this one! Categories: Book Reviews, Calendar Quotes/Wisdom, Personal Growth, Seeking Answers | Tags: amazon reviews, articles of interest, attracting abundance, attracting money, book review blog, book review blogs, Book Reviews, Cynthia Stafford, does the law of attraction work?, how to attract abundance, Joseph Murphy, law of attraction, LOA, the power of your subconscious mind, The Power of Your Subconscious Mind book review, the Secret | Permalink. And sadly, that power is often forgotten when it is needed most. I always try to dwell on good thoughts these days; focusing on what’s positive, throughout each day. I also strive to let go of the petty annoyances that come up; in the big picture, they really mean little or nothing at all. That kind of positive energy and thought pattern can also have a profound effect on how we are feeling and on our overall health. I know personally just how well this works. I’ve “been there” when it comes to talking about and dwelling on every little ache and pain and my larger health concerns too, over the years. I know now without any doubt, that dwelling on health and wellness at all times DOES impact reality in significant ways, if we stick with it. If you haven’t already, try it! You will be amazed by the power of your subconscious mind if you let it work its wonders. The body/mind connection. It works for or against us, every day. The choice is ours. Categories: Calendar Quotes/Wisdom, Personal Growth | Tags: be happy, be healthy, health, health and wellness, healthy living, inspiration, inspiring quotes, poetry, poetry blogs, poetry post, positive thoughts, sky, sky photo, stop dwelling on sickness, subconscious mind, the power of positive thinking, the sky is the limit, thinking yourself well, wellness | Permalink. The lilacs are in full bloom here in BC; one of my all-time favorite flowers. I’ve added a quote to this photo that I hope you find inspiring too. When we “step up to the plate” and make an important decision in life, we should be glad that we could and that we did. It isn’t always the easy route to make changes, decisions… but it IS always something to celebrate. Have a wonderful (and here in Canada, long) 😉 weekend! 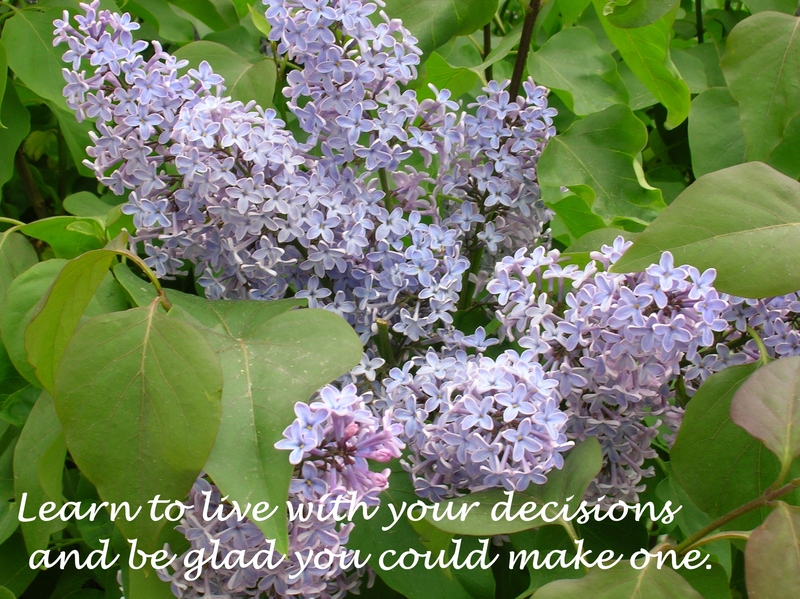 Categories: Calendar Quotes/Wisdom, Personal Growth | Tags: decisions, lilac photo, lilacs, making a decision | Permalink. Tips for Aging Successfully and Living Life Full-Tilt! Geraldine on Longing for Spring! Rose Lefebvre on Longing for Spring! Cooking, Crafts and Mr. Cheddar!